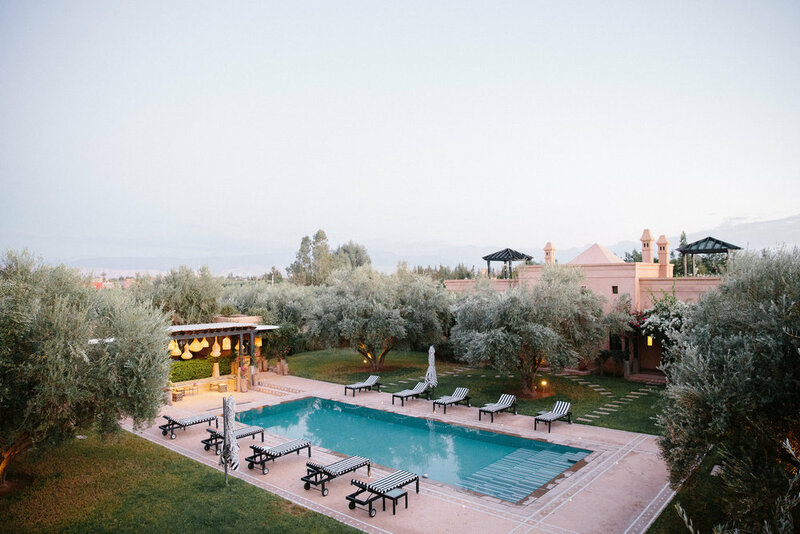 6-days, 5-nights accommodations at Peacock Pavilions, an artisanal boutique hotel nestled on the outskirts of Marrakech in an olive grove with breathtaking views of the Atlas Mountains. The hotel features an 800 square foot swimming pool, outdoor gym, a painted dining tent and a yoga pavilion. Once daily yoga practice with Jaimee (yoga mats/props provided). *Any meals not listed above will be during group excursions outside of Peacock Pavilions and at each attendee’s own expense. 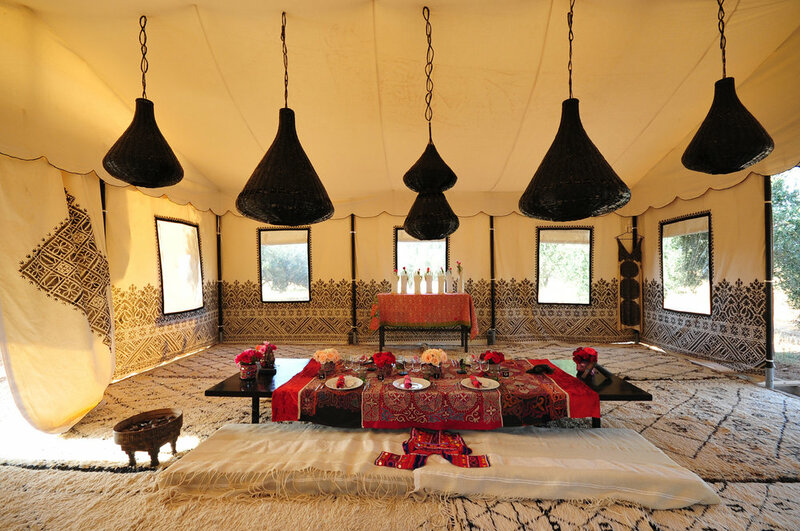 This gives retreat participants the opportunity to explore the many flavors of Morocco. 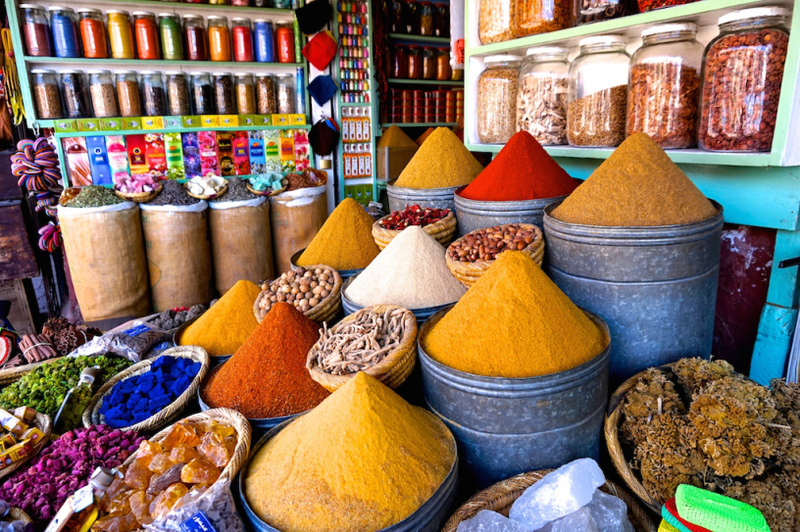 Exploration and guided tour of the Marrakech Medina featuring cultural landmarks and shopping in the markets. Indulge the senses with fragrant scents, sights and sounds of the ancient city’s walled labyrinth. Traditional hammam treatment at a luxurious Moroccan bath house. Experience includes an invigorating scrub + relaxing massage. Travel insurance (highly recommended). World Nomads is an option that offers affordable coverage. A $500 non-refundable deposit is required to secure your spot on this retreat and goes toward the total retreat cost. Spots will not be held before payment is made. Before issuing the deposit, please be sure to check all future obligations, vacation days, etc., to ensure you’ll be able to attend. The non-refundable policy is firm and will not be negotiated under any circumstances. 1. Do I have to have yoga experience to attend this retreat? Nope. The daily yoga class is for all levels and is even optional. This is your retreat, so you can do as much or as little as you’d like. 2. Which airport do I fly into? You will fly in and out of the Marrakech Menara (RAK) airport. 3. 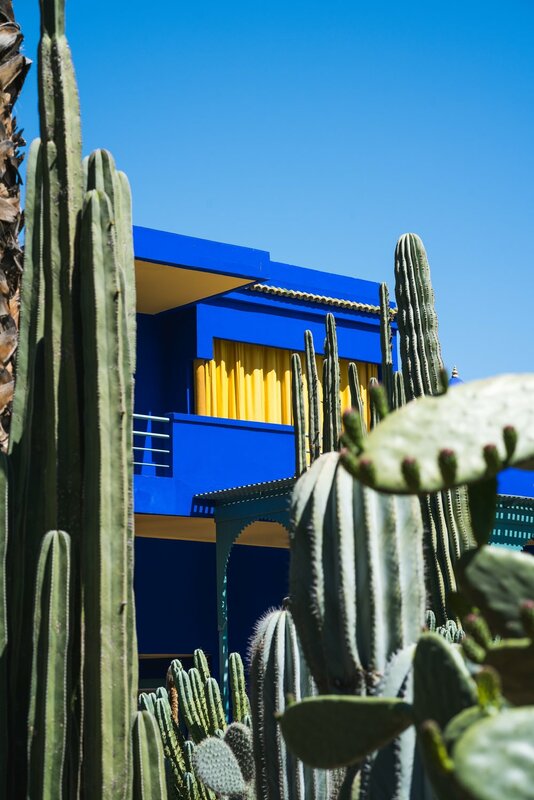 Do I need a passport to visit Morocco? Yes! Your passport must also have at least one blank page for entry stamp and must be valid at least 6 months beyond the duration of your trip. 4. Do I need vaccinations for Morocco? Visas are not required for visits lasting less than 90 days. 6. When should I arrive in Morocco? The average one-stop flight from Atlanta to Morocco is 15 hours and can go up to more than a day. This means, depending on the flight you choose, you may have to depart on either JUNE 6 OR 7 to arrive in Marrakech by the start day of the WEEK 1 retreat (June 8) AND JUNE 13 OR 14 FOR WEEK 2 RETREAT START DAY (JUNE 15). Marrakech is 5 hours ahead of Eastern Standard Time. 7. Is this retreat right for me? If you love traveling, immersing yourself in new cultures and don’t mind the company of 13 other humans in the beautiful country of Morocco, I’d say hell yes. 8.What is the cancellation and refund policy? * If the retreat participant cancels BEFORE JANUARY 1, 2019 his/her non-refundable deposit is retained. HOWEVER, 50% of any other payments already made by the retreat participant will be refunded. * NO PAYMENTS ARE REFUNDABLE AFTER JANUARY 1, 2019. NO EXCEPTIONS. * due to an unforseen circumstance occurring, it is strongly recommended that you purchase travel insurance to protect the cost of your trip should you have travel delays, need to cancel your trip, lose baggage, etc. More information, waiver, and other details SUCH AS what to pack will be emailed to you as we approach departure date. please contact jaimee at jaimee.rachelle@gmail.com for all questions and to proceed with booking your adventure to morocco!